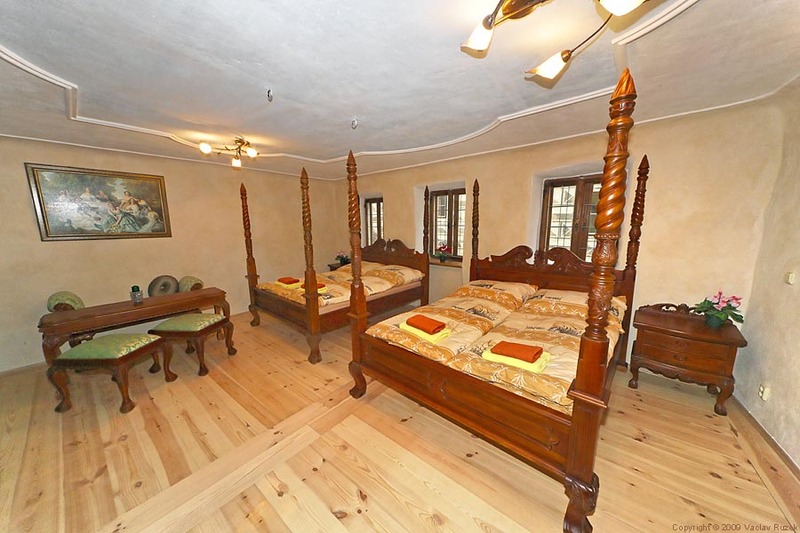 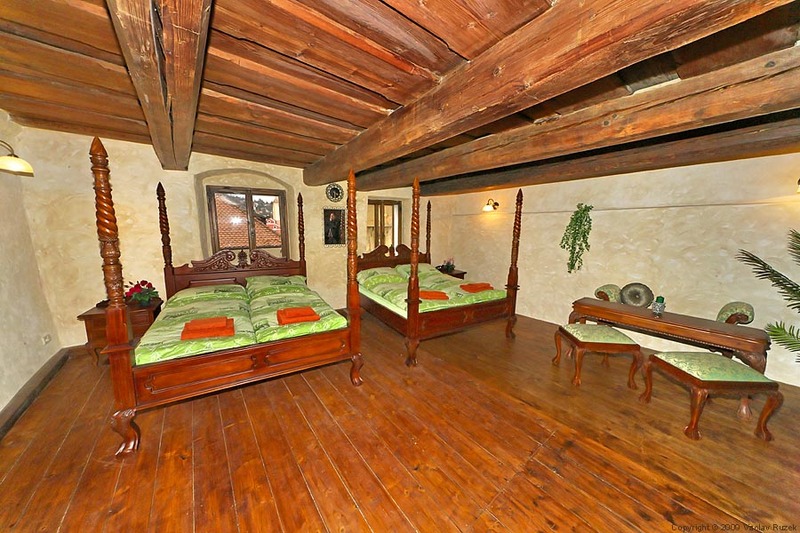 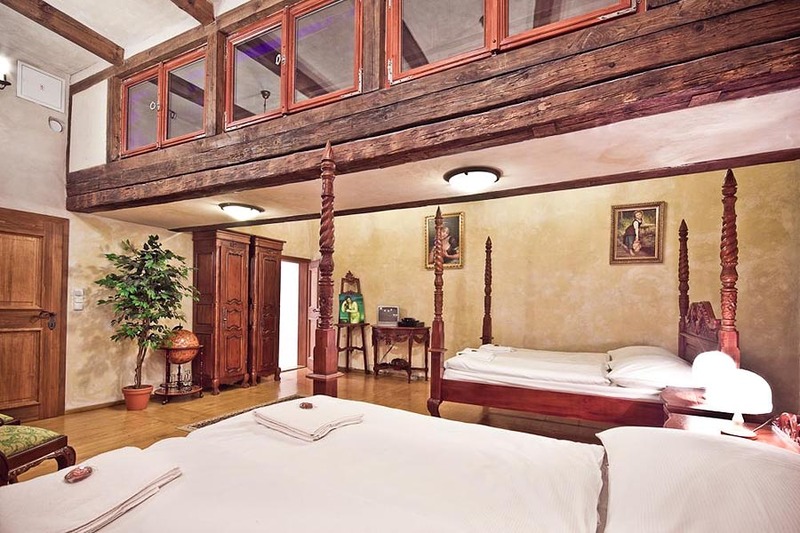 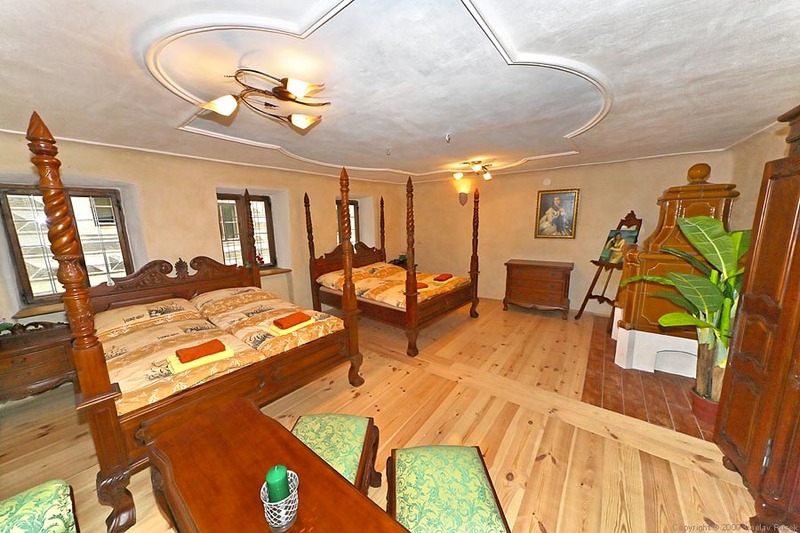 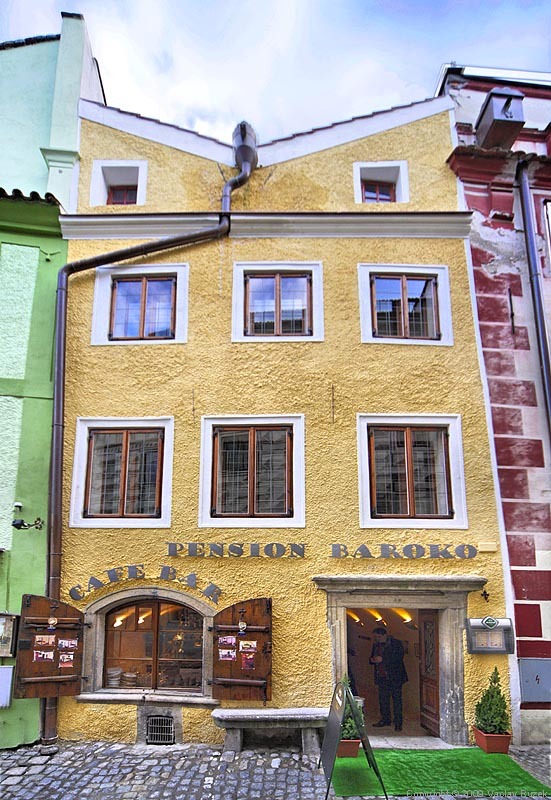 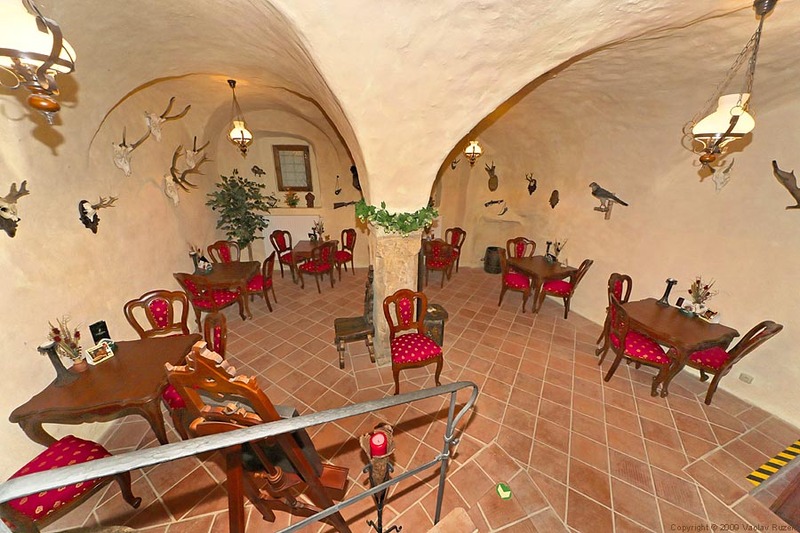 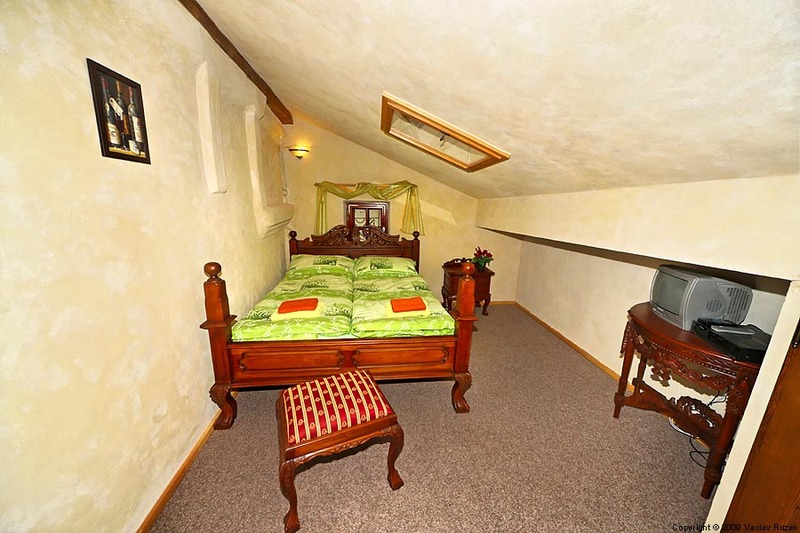 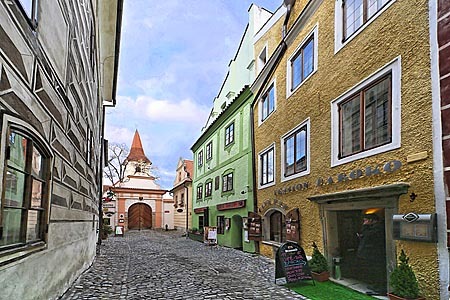 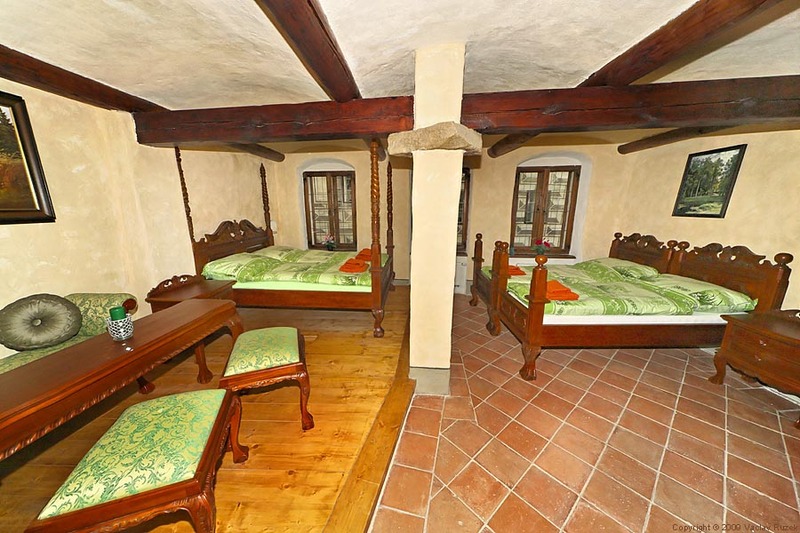 A stylishly furnished pension situated in a house from 1360, a late Gothic building with a classical facade added in the Classical period, is located in the historic center of Cesky Krumlov, which has ranked among the UNESCO World Heritage Sites since 1992. 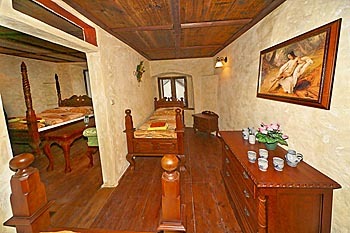 This newly renovated building with mahogany replicas of Baroque furniture, offers an unusual accommodation experience. 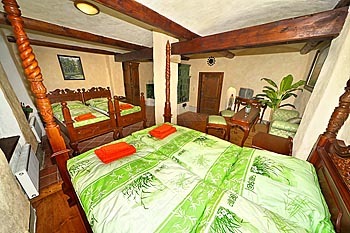 The Pension Baroko offers six rooms in total; one double bed room, four four bed rooms, and one suite. 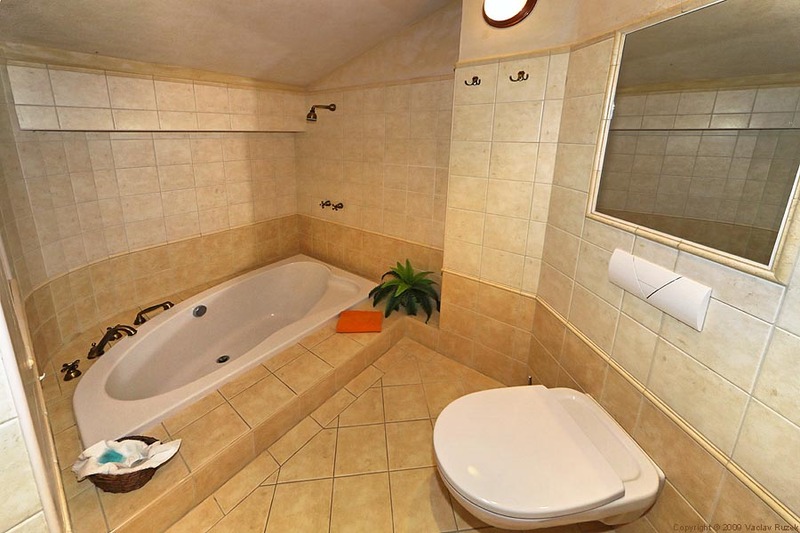 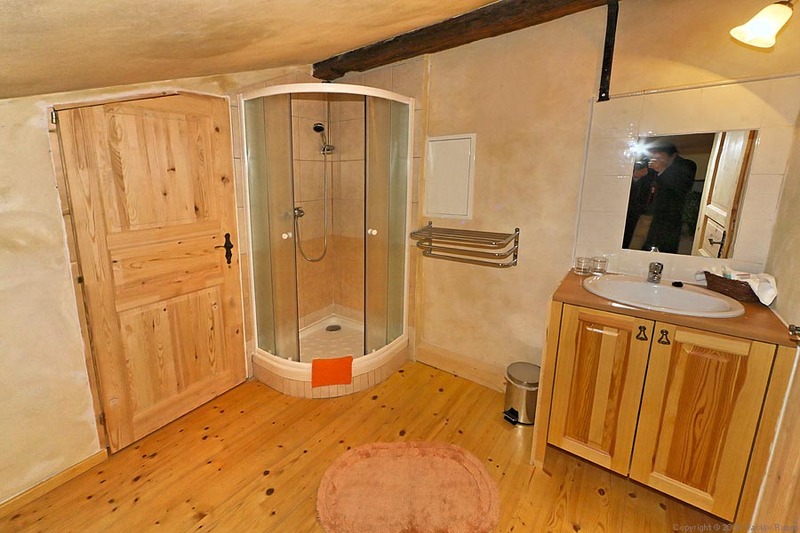 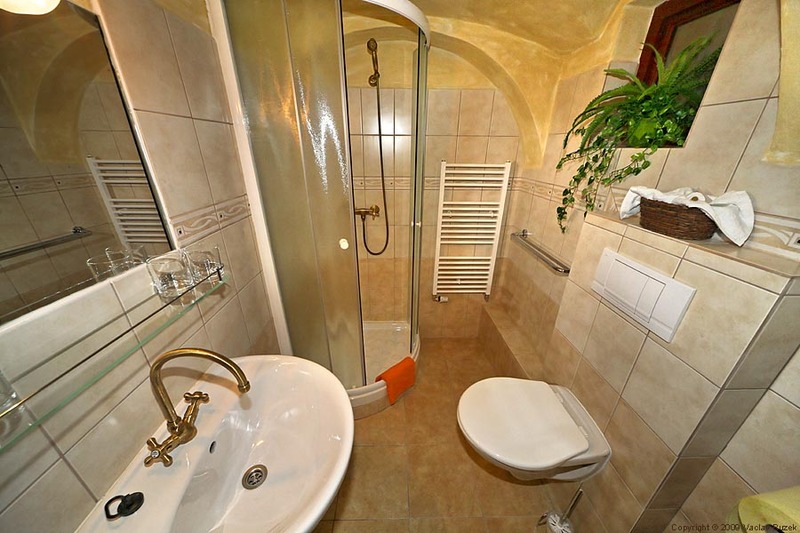 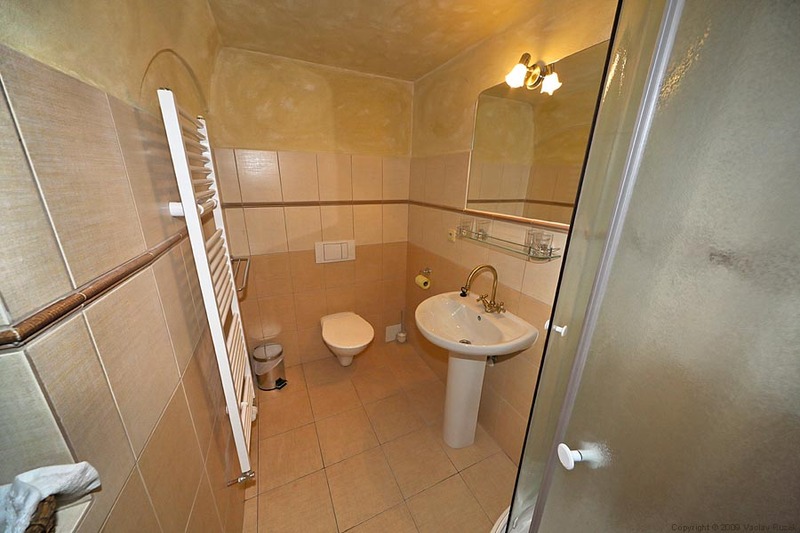 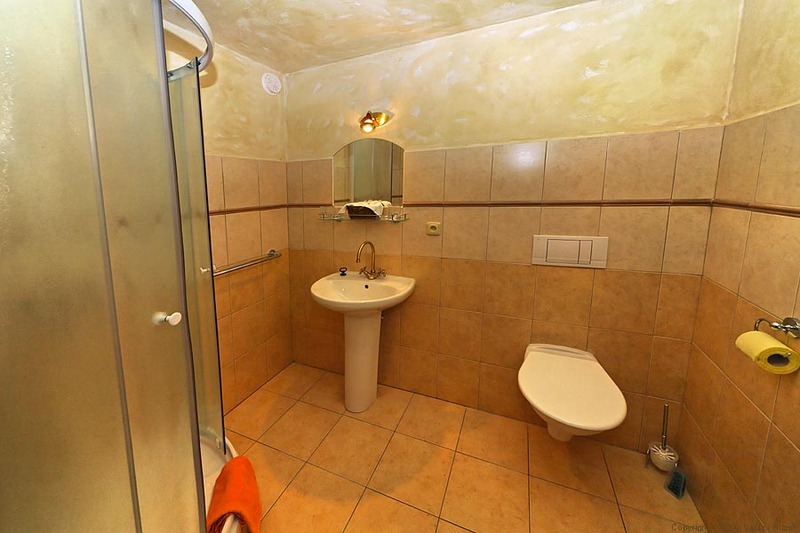 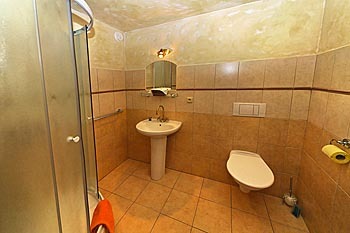 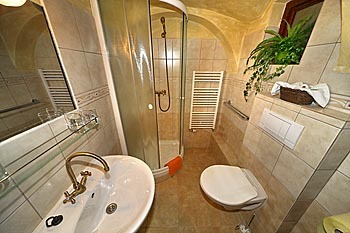 Every room has its own bathroom with toilet, sink, mirror and a shower stall. 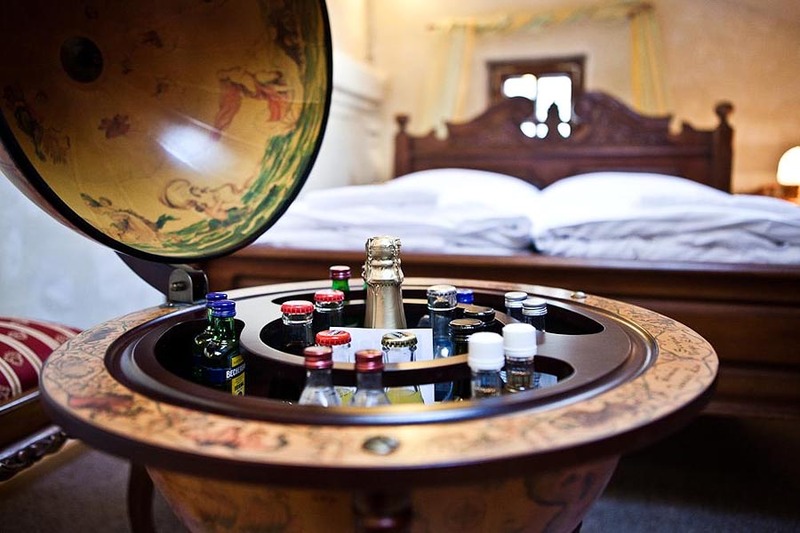 The rooms are also equipped with a TV set and minibar (in an openable globe). 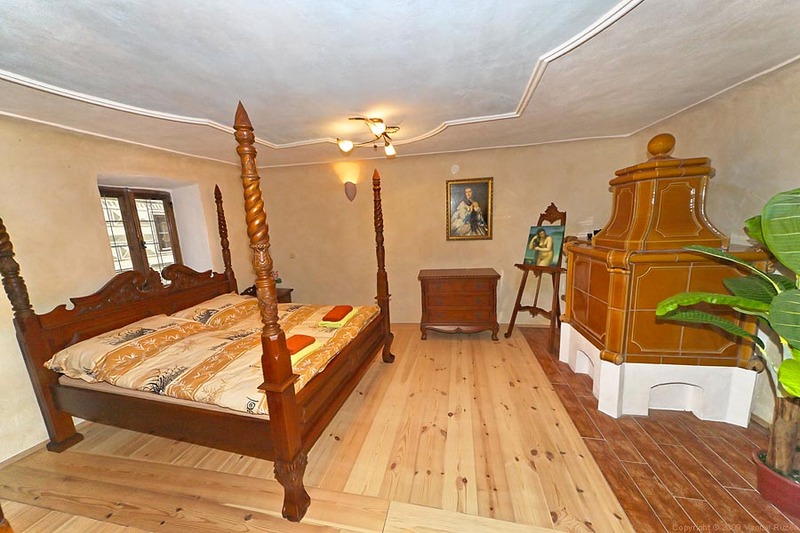 A four-bedded room is an ideal solution for families with children. 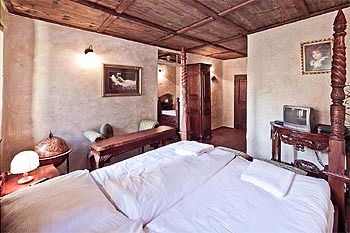 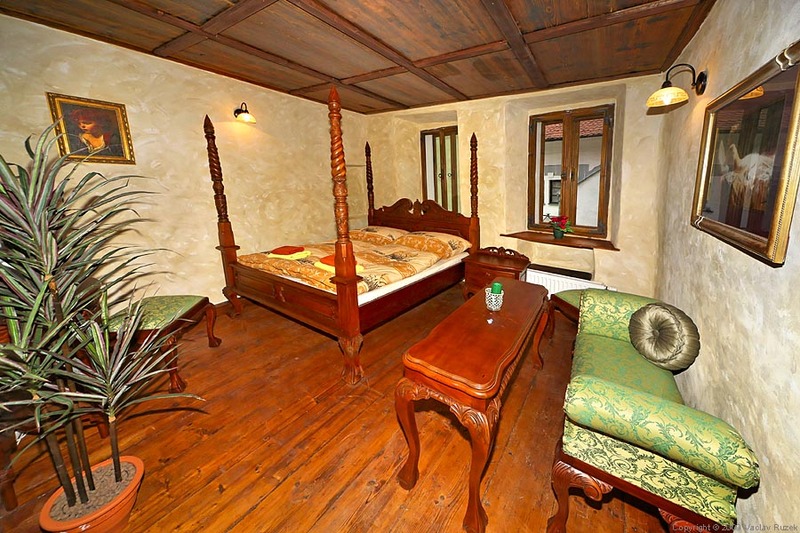 The rooms are furnished with stylish furniture made of solid wood. 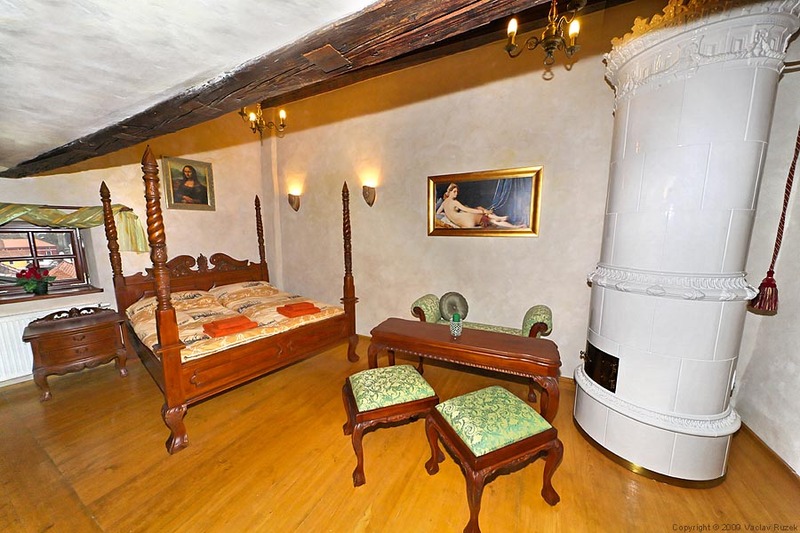 Selected four-bedded rooms also include a historical tiled stove. Every four-bedded room has its own bathroom with a shower stall. A four-bedded suite is ideal accommodation for visitors with higher expectations concerning space and comfort. In addition to the standard equipment, the suite also includes armchairs and a table for greater relaxation. 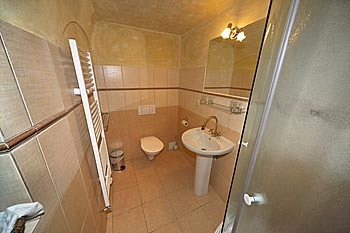 It naturally includes a television and a spacious bathroom with toilet. 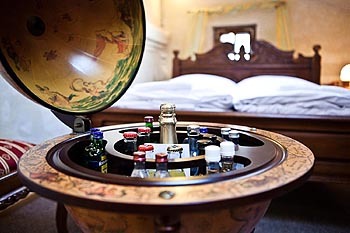 The suite is furnished with two cupboards of solid wood and a stylish minibar in a historical globe. 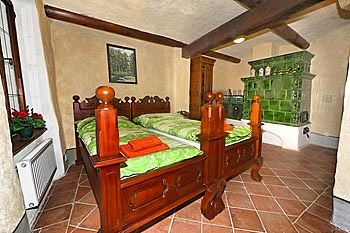 One of the dominant features of the suite is a tiled stove. 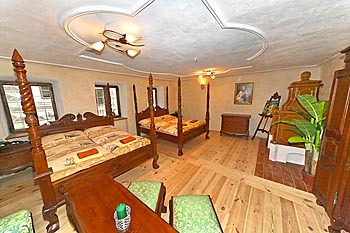 two double beds, separate toilet and bathroom with a bathtub, TV, cupboards of solid wood, armchairs and table, tiled stove, minibar. 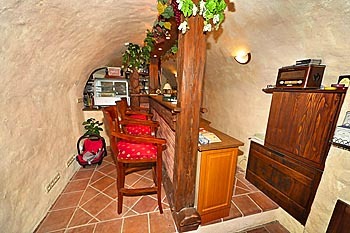 An ideal solution for couples. 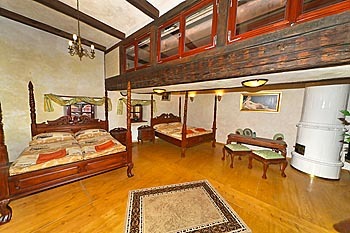 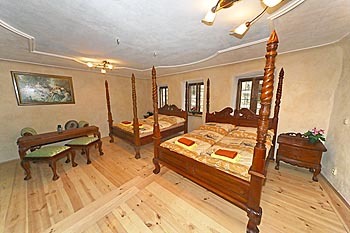 The room is furnished with quality furniture of solid wood. 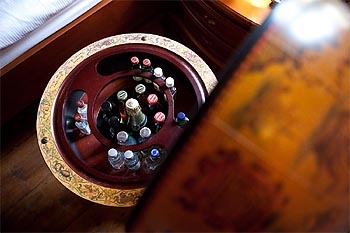 You can also put your possessions on a stand. Guests can use a TV set which is to be found in every room. The roof windows in the double-bedded room can be covered with blinds. 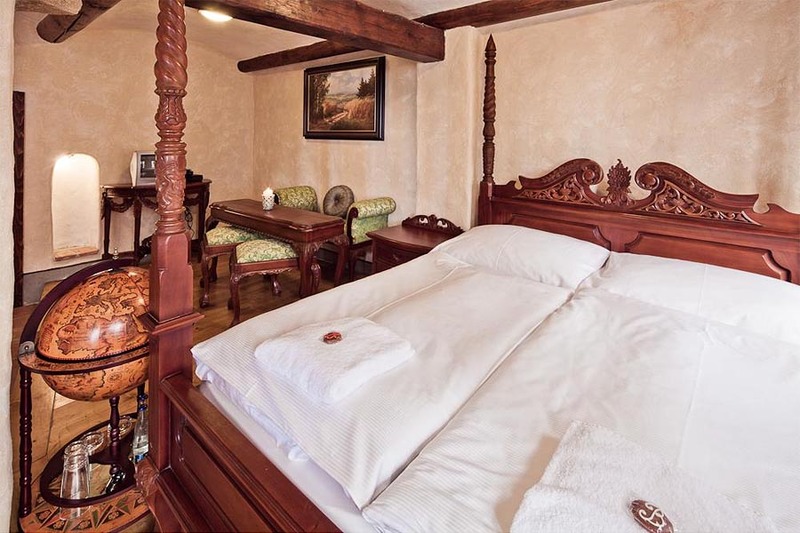 double bed, furniture of solid wood, own toilet and bathroom with a shower stall, TV, outdoor blinds, servant, minibar - old globe, chest of drawers. On the ground floor of the pension is located a breakfast room serving as a café during the day and a bar.